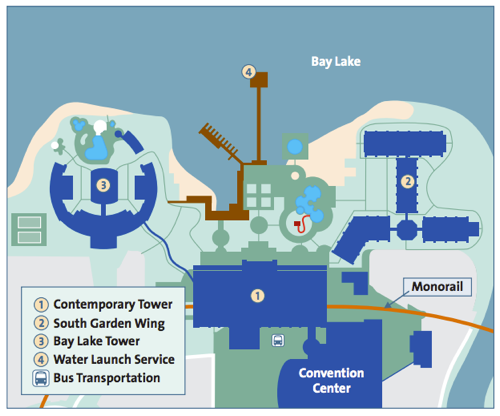 Enjoy accommodations in a dazzling lakeside environment. As monorails breeze quietly through the lobby, you're reminded that the Magic Kingdom® Park is just moments away. This Deluxe Hotel features a pool area and a complete array of dining and recreational options. 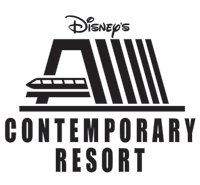 Disney's Contemporary Resort is conveniently connected by monorail or water taxi to numerous restaurants within the Magic Kingdom® Resort area. Get the Gold Medal treatment at the Olympiad Health Club. Whether it's a hard-driving workout or a relaxing massage, our trained staff of health and fitness experts is available to assist you with your health and fitness needs. Call for reservations at (407) 824-3410*, 8:00 a.m. to 8:00 p.m. daily.